Christened "The Emerald City", Seattle is one of the most livable cities in the world. It actually receives less annual rainfall (36 inches) than New York City and Atlanta. Surrounded by lakes, rivers, Puget Sound, and mountains, Seattle is a recreation enthusiast's dream. The greater Seattle area is home to 2.8 million people. Microsoft, Nordstrom and Starbucks are based here. 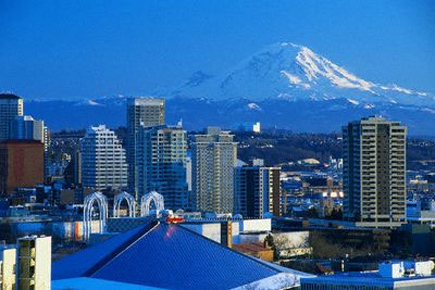 Seattle is also known as the birthplace of the crazes for grunge rock and espresso coffee. This area is the home of baseball's Edgar Martinez, glass art's Dale Chihuly, musicians Pearl Jam, Soundgarden, Queensryche, Ann and Nancy Wilson of Heart and Kenny G., software giant Bill Gates, maestro Gerard Schwartz, actor Tom Skerritt, writers Ann Rule, Robert Fulghum, and Tom Robbins.